Spots during the Easter holidays are filling up fast – existing tutees, please get in touch ASAP to let me know when you’d like your lessons as it is first come, first served during holiday periods. It’s a very short holiday (more’s the pity, I hear you cry!) and I’m already fully booked on some days. If you’re new to tuition, please remember that this is the busiest time of the year and there is a waiting list for some slots. Get in touch soon to make sure you can get booked in. And on that note, have you made your revision timetable? It’s no secret that teachers don’t have favourite pupils. It’s unprofessional, cruel to the other children in the class and generally not fair as, of course, all children have the right to be treated equally, But what I – and I suspect most teachers – do have, are pupils that stick in the memory, even ten or twenty years down the line. In my first job I had a Theatre Studies class with one particular student who was so incredibly talented that he made me cry during his examined performance. I taught a boy in an A level English class who used to bring me poems and bits of novels he was working on. I had a girl in one GCSE class who struggled a great deal but worked so hard that she got an A* through sheer force of will – and she did AS English a year early, at the same time as her GCSEs, and got an A. All of these pupils from ten years ago, and many from more recent schools that I’ve worked in, stand out for me from the hundreds – thousands? – that I’ve taught. 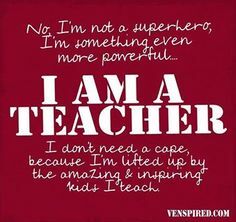 But what I absolutely love about tutoring is that now, all my pupils are memorable, and for all the right reasons. Every tutee that I see is here because they want to learn. They want to improve. They’ve taken the brave step of acknowledging that they need help with some particular aspect of their learning – even if they’re not completely sure what that is and they need me to help them figure it out – and they’ve arrived, pen in hand, ready to go. Some of them are very shy, some are confident, some seem confident but are actually incredibly nervous. I’ve tutored pupils whom schools have refused to teach – who have all turned out, by the way, to be bright, sparky, impressive young people. I’ve tutored pupils with SEN who are floundering in classes of 30 at school, and who have sat with me, drunk copious amounts of tea, given it their all and done the unthinkable – passed a GCSE that ‘everybody’ said they would fail. I absolutely love tutoring because every student that comes through my door leaves again more confident and motivated, better equipped to face their difficulties and feeling ready for the next step. So no, I don’t have favourites. It wouldn’t be fair. They’re all brilliant and I remember them all with a fierce pride.